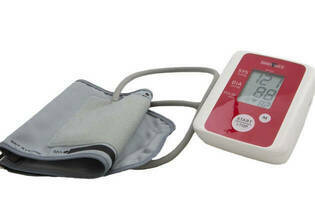 Snapshot: The HeartSure BP100 arm blood pressure monitor can store 14 readings. But how accurate is it? To check the monitors’ accuracy we took readings from a group of 10 men and women of varying ages. We then compared the results with those obtained from a recently calibrated hospital-grade blood pressure monitor. Ease of use is assessed on the instructions, how easy the monitors were to operate, screen quality, the information displayed, and how comfortable the cuff was. "A neat machine at a sensible price." 08 Apr 2017, David L.
Easy to use, clear display.